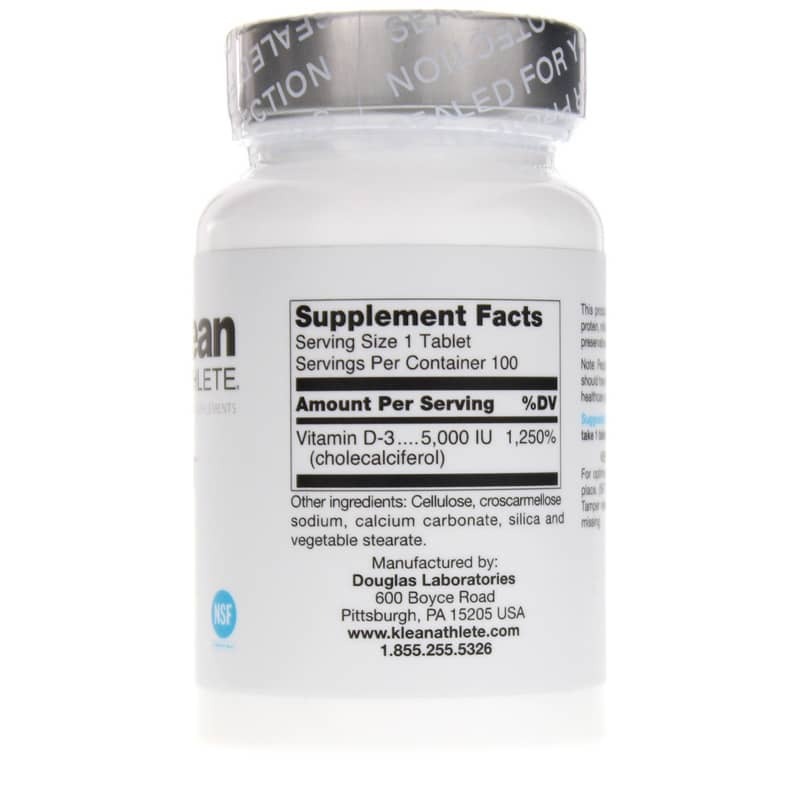 Everyon needs a healthy amount of vitamin D for good health, even athletes. 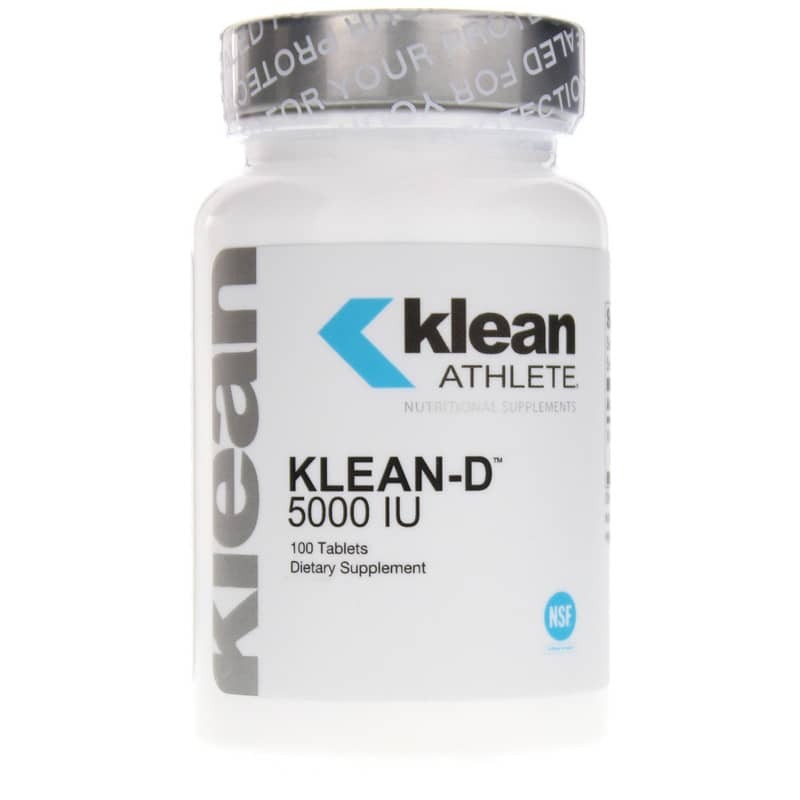 Klean Athlete offers Klean-D 5000 IU, a dietary supplement that offers targeted support for when you're stuck indoors training and exercising. It provides key support for athletes who push their bodies to the limit every day. Athletes train and exercise no matter. Day or night, rain or shine, and through sore muscles, they do what they have to to be able to perform well. Vitamin D may be able to help improve quality, frequency, and duration of training, and may also support faster recovery times. Make the right choice to get the vitamin D your body needs to keep you training and competing. Choose Klean Athlete's Klean-D 5000 IU today and see the difference it may be able to make for you. Order now! Other Ingredients: cellulose, croscarmellose sodium calcium carbonate, stearic acid, vegetable stearate. Contains NO: yeast, wheat, gluten, soy protein, milk, dairy, corn, sodium, sugar, starch, artificial coloring, artificial preservatives, or artificial flavoring. 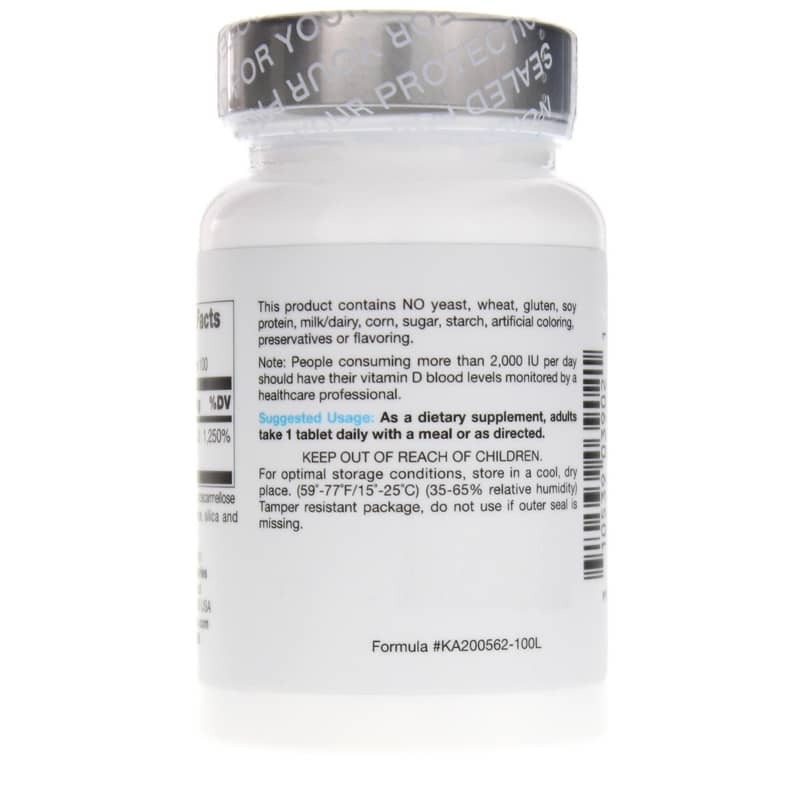 Adults: As a dietary supplement, adults take 1 tablet daily with a meal or as recommended by a healthcare professional.